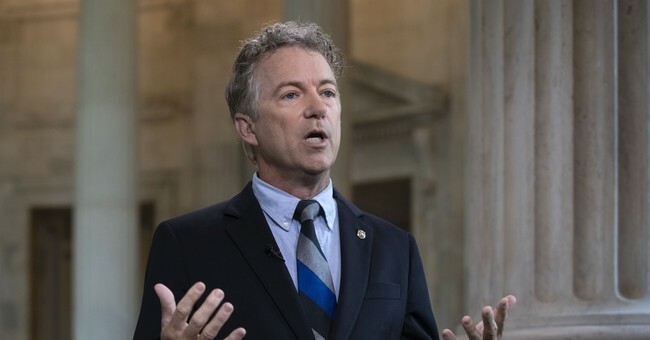 Sen. Rand Paul (R-KY) filed an amendment to the Senate appropriations package for Defense, Labor, Health and Human Services, and Education that would defund Planned Parenthood, the nation’s largest abortion provider. Planned Parenthood has performed 321,384 abortions over this past year, according to their latest annual report and received about $543.7 million in federal funding. Sen. Paul is likely facing an uphill battle with his amendment as Sen. Richard Shelby (R-AL), head of the Senate Appropriations Committee, is hoping the Senate can pass a spending bill this week without “poison pills,” such as Paul’s amendment, that would cause a Democratic filibuster. “What we are trying to do is move our bills, and that could be a spoiler,” Sen. Shelby told reporters Monday. He did not rule out a vote on the amendment but did say that, for now, it was not among the amendments the Senate is voting on Tuesday. In spite of the GOP control of the House and Senate, Republicans have been unable to stop federal funds from going to Planned Parenthood and other abortion providers. An attempt to defund the abortion giant in the Obamacare repeal bill last year failed due to Republicans' small majority in the Senate.